Happy New Year and Welcome Back, TDPS! Happy New Year TDPS! It's cold out, but there's a warm welcome wrapped up in this issue. Check out the upcoming events and productions. Also, read about why one of our amazing professors and alumni made recent news. Congratulations to them both! 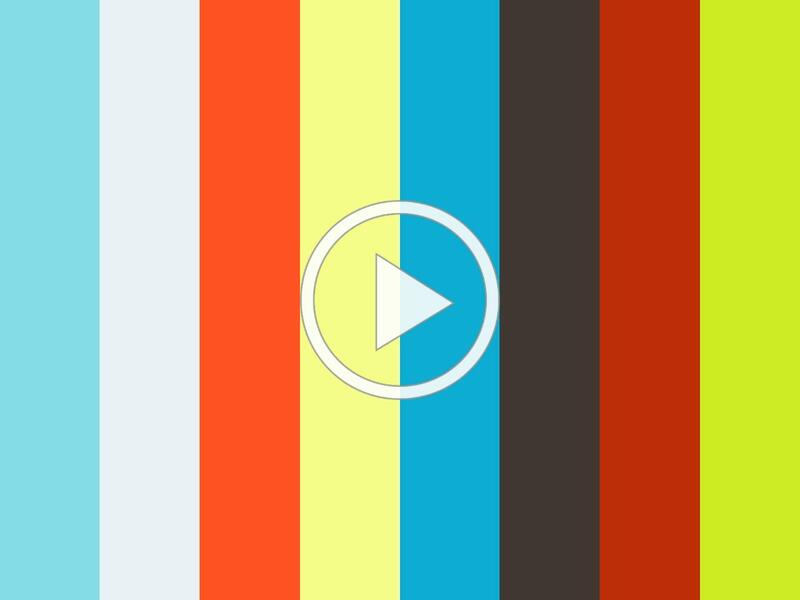 There are a lot of opportunities available, so take a minute to see what's listed. Hope everyone has a wonderful start to the semester! has been extended to Monday, February 12! For more information on the MFA Dance program, check out the video above. For more information on the MFA Dance application process and requirements, click here. 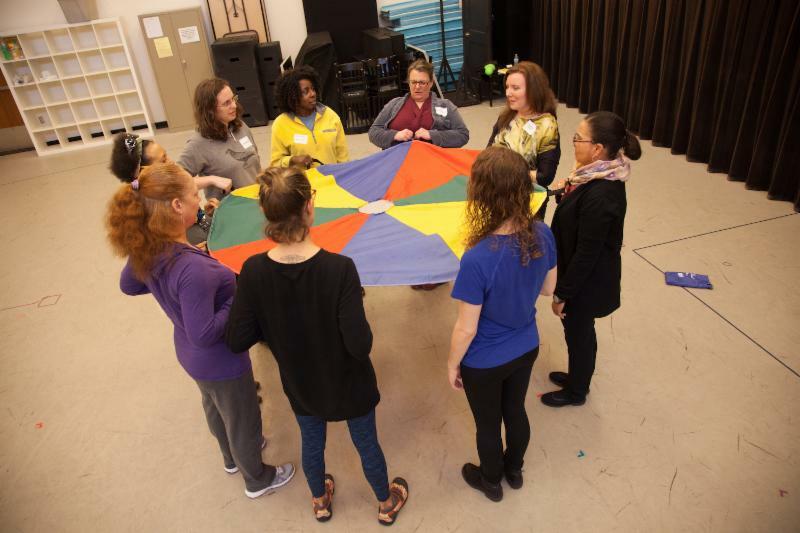 The 2nd Annual MTEA Conference will allow attendees to come together and reconnect to their craft, use theatre to bring communities together, address social issues, and create hope through excellent and exciting work! 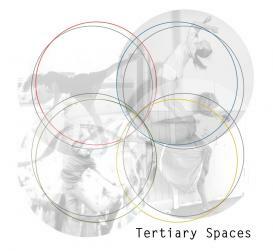 The second-year MFA in Dance cohort explores spatial and human relationships in this inclusive and interactive work. 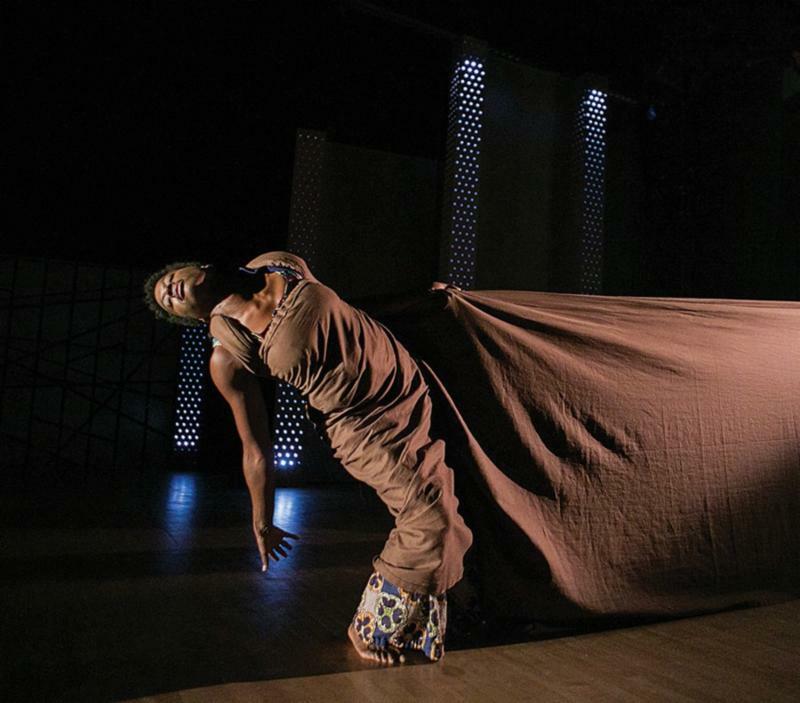 Created in collaboration between four diverse performance artists, the piece exemplifies first-hand the power of compromise, connection, and challenge, ultimately bringing the audience and performers together for a shared experience. When Eurydice tragically perishes on her wedding day, her groom Orpheus will do anything to bring her back to life. He strikes a deal with the gods of the Underworld, but will he be able to fulfill its terms? This reimagining of the classic myth is told through Eurydice’s eyes, offering a fresh perspective on her journey. It’s one of love and loss, pleasure and pain.The play’s rhythmic language helps rebuild the memories of the characters and highlights the heroine’s impossible choice between life and death. 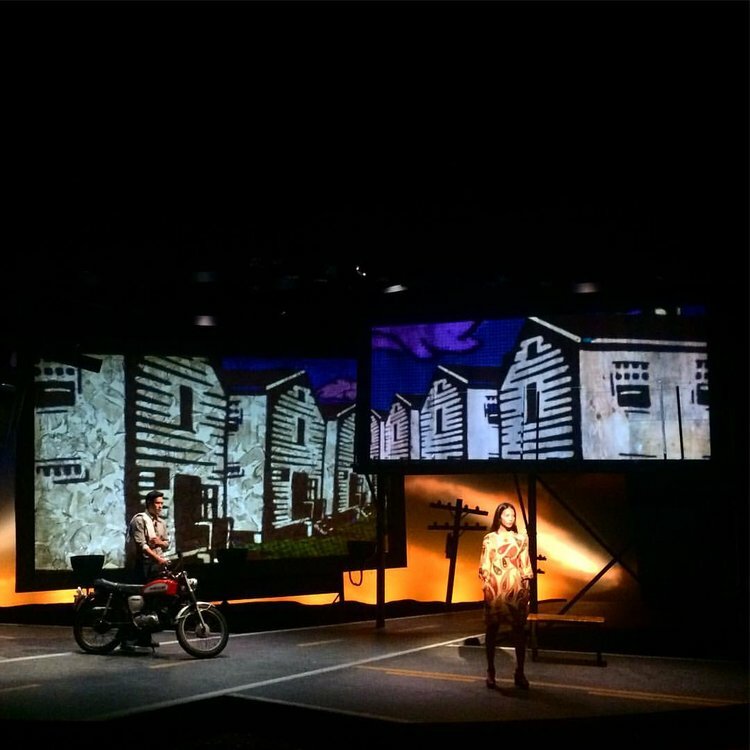 ﻿Congratulations to Professor Jared Mezzocchi on being awarded a 2017 Henry Hewes Design Award for his projection design of Vietgone at Manhattan Theatre Club ! The Henry Hewes Design Awards are earned by artists working on, off, and off-off Broadway. Jared won for the category of "Notable Effects," which may include sound, music, video, projections, puppetry, and other creative elements. The Hewes Awards Committee considered more than 200 productions when making its nominations; as of 2017, the Committee has bestowed 303 honors on 195 artists representing 213 productions. Meghan Abadoo Named One of the "25 to Watch 2018"
Congratulations to Meghan Abadoo (MFA Dance 16) for being selected as o ne of Dance Magazine' s "25 to Watch 2018." From the article: "MK Abadoo is an unapologetic activist . The dances she creates speak her truth to power. Her choreography offers a socially conscious take on torn-from-the-headlines issues of racial, social and gender equity." 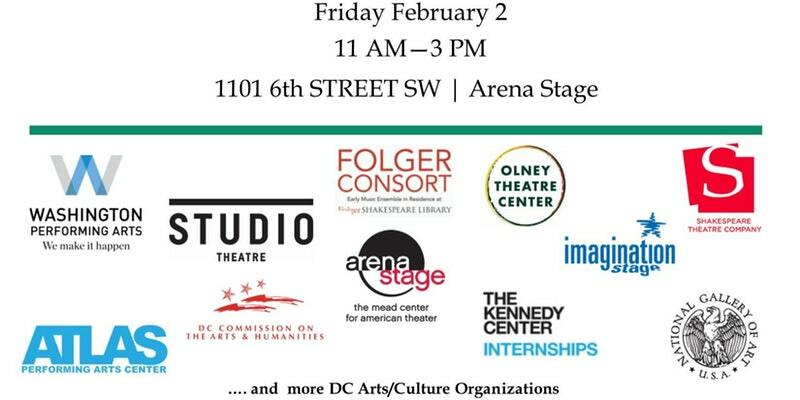 On Friday, February 2 starting at 11am, Arena Stage will host the 2018 DC Arts/Culture Intern & Apprentice Fair for the leading performing arts and cultural institutions of Washington, DC. There is no fee for participants to attend, but registration is required via Eventbrite. On Friday, January 26, choreographers will be holding auditions the spring MFA Dance ThesisC Concerts from 6-8pm in Dance Studio 2. If you have any questions, please see the audition flyer or e-mail Cary Gillett at cgillett@umd.edu. The Digital Humanities in Theatre Research working group of the International Federation for Theatre Research (IFTR) are calling for papers for the 2018 IFTR Conference in Belgrade, Serbia (July 9-13). Proposed papers and project presentations should represent the full range of experience theatre scholars and practitioners have with Digital Humanities. Abstracts (up to 300 words) on either a proposed paper or the presentation of a digital project are due January 31 and should be submitted here. TDPS will hold auditions for the MFA Dance program on February 10, 2018 from 9:30am - 5pm. For more information, click here or e-mail Patrik Widrig. This summer, take the Education Abroad course "International Perspectives on Drama and Learning (EDCI)" at Trinity College in Dublin, Ireland! This course provides participants with the opportunity to discover how drama can be used as a learning medium in a variety of contexts (communities, schools, theatres, etc.). For more information, please see the course flyer. Imagination Stage is now hiring for its Professional Apprenticeship program! In addition to a stipend, the program offers an opportunity for the Rebecca Rice Community Engagement Grant, a $5,000 grant awarded to one apprentice per season who has background and interest in community engagement work. For more details, please see the program flyer. On Saturday, February 10, the College Park Arts Exchange will host "Page to Performance Mini-Festival: Monologues & Dialogues," a day-long exploration of character and voice followed by an evening performance of the work created during the day. $45 for the full day (10:30 am-7:00pm) and dinner is provided; the evening performance will be free and open to the public. All events will be held at Old Parish House, College Park, MD. For more information, click here. American Ensemble Theatre is hiring a stage manager for a one-man musical for Black History Month. Only 4 performances at the Capitol Hill Arts Workshop on Saturdays at 1pm: Feb. 3, 10, 17, and 24. Rehearsal dates: Jan 25-27, plus tech Jan 29 7-9pm and Feb 2 6pm to 9pm. Job pays $350. If interested, e-mail AmericanEnsemble@gmail.com or visit their website. Pointless Theatre is hiring a General Manager to bring efficient and effective systems to increase the productivity of the organization. 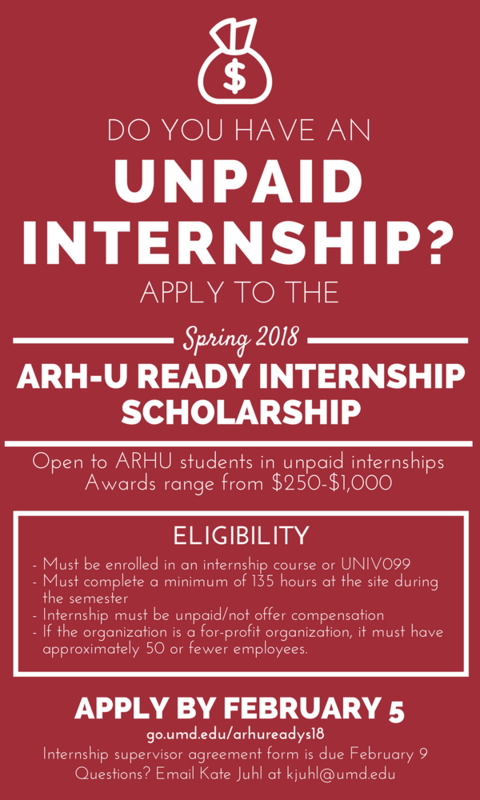 Qualified candidates will have a strong background in fundraising; exceptional management and leadership skills; and at least a Bachelor's Degree. If interested, e-mail a cover letter, resume/CV, and references to david@pointlesstheatre.com. Olney Theatre is opening up applications for their Apprenticeship Program for the 2018-2019 seasonis in the following areas: Artistic and Casting, Carpentry, Company Management, Costume and Wardrobe, Dramaturgy, Education Administration, Electrics, Marketing and Development, Production Management, Props, Sound, and Stage Management. Full details at http://olneytheatre.org/apprenticeships. 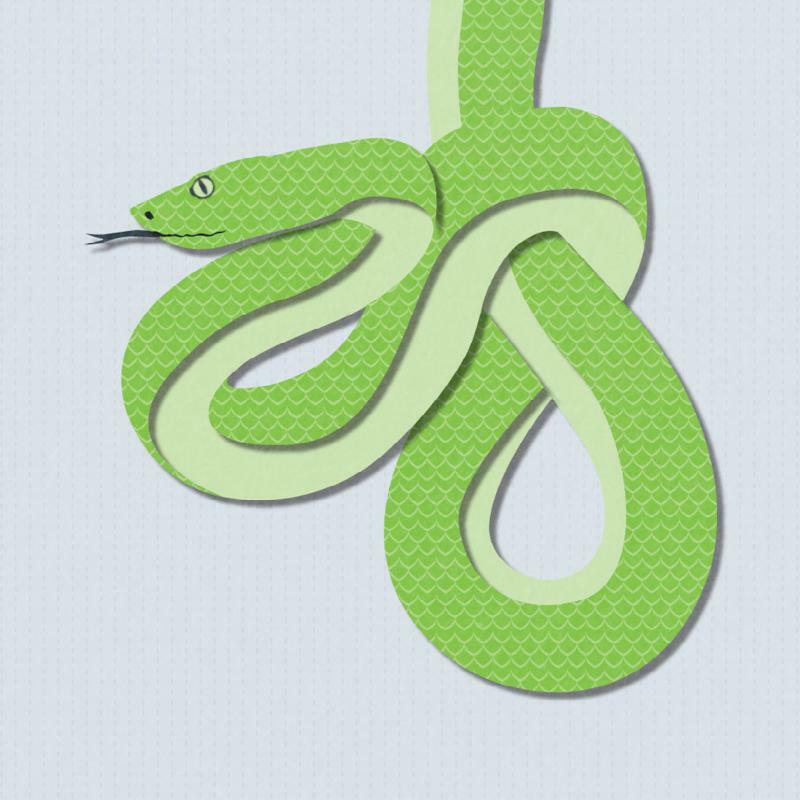 Silk Road Dance Company. Image courtesy of Joe's Movement Emporium. Round House Theatre is offering FREE tickets to college students with a valid ID for their upcoming production, Handbagged, running January 31 through February 25. They will also host a college night on February 1, featuring a post-show discussion with members of the artistic team and $2 beer for those over 21. Tickets may be reserved by filling out this Google Form, calling 240.644.1100, or in person at the Round House Theatre Box Office. 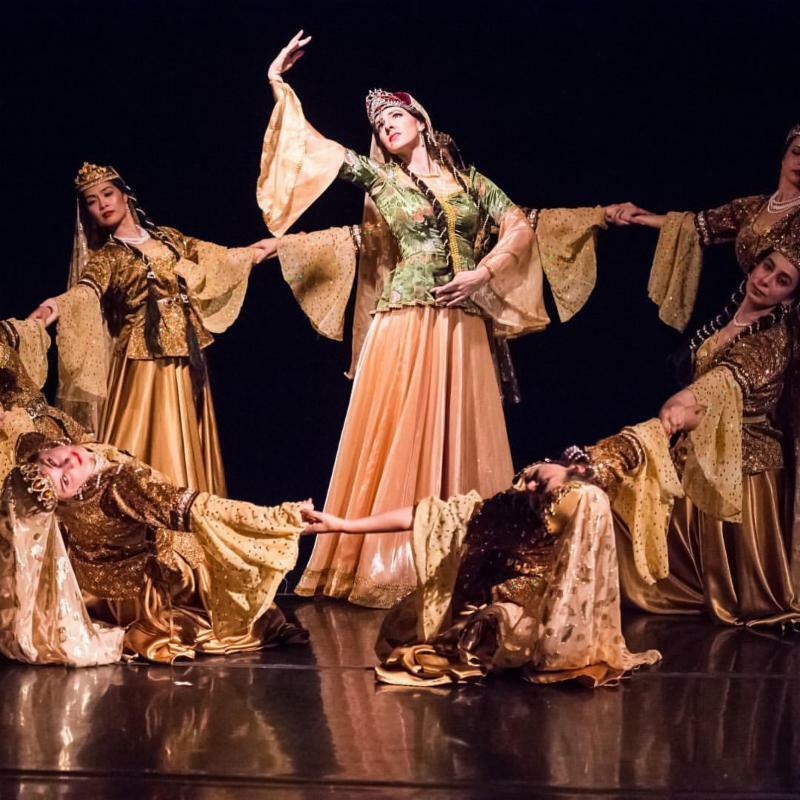 The 4th Biennial Silk Road Dance Festival from the Silk Road Dance Company will take place on February 17th at 7 PM at Joe's Movement Emporium. The festival will feature live performance; the Silk Road Bazaar by Zamani House of Heritage; a Silk Road Silent Auction of costume pieces from the coveted Silk Road closet; opportunities to dress up in traditional robes and headdresses; and the option of pre-concert Silk Road buffet prepared by master chef, Bughda Atahan. A limited number of buffet tickets are available for $40. Concert tickets are $25 in advance and $30 at the door and can be purchased online or by calling 301-699-1819.